Mirror Piece | Ich bin ein Sender. Ich strahle aus! | I am a sender. I transmit! Mirror Piece consists of a glass apothecary flask, which Beuys contributed to a portfolio of multiples by different artists, entitled ‘Mirrors of the Mind.’1 No longer transparent, the flask has been coated in successive layers of silver, copper and brown paint. 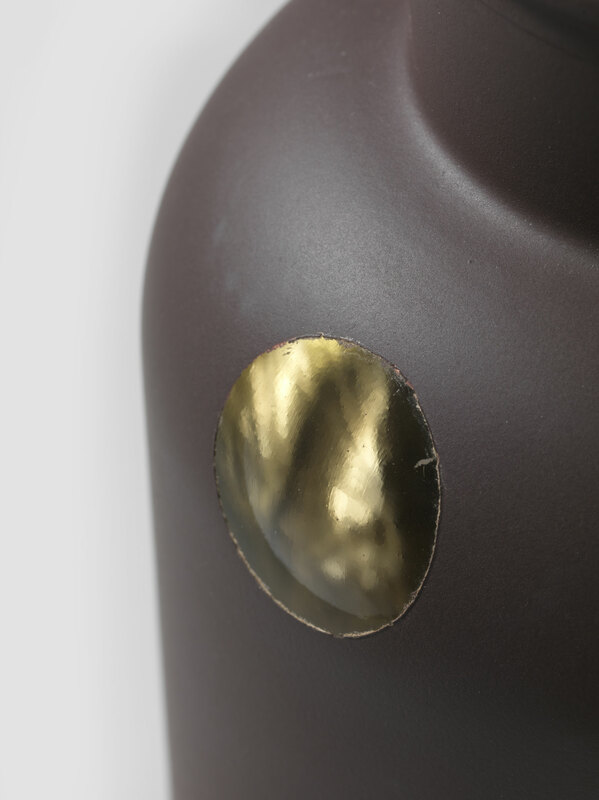 Near the base of its neck, a small aperture remains unpainted, allowing viewers to inspect its interior, within which lies an iodine crystal. 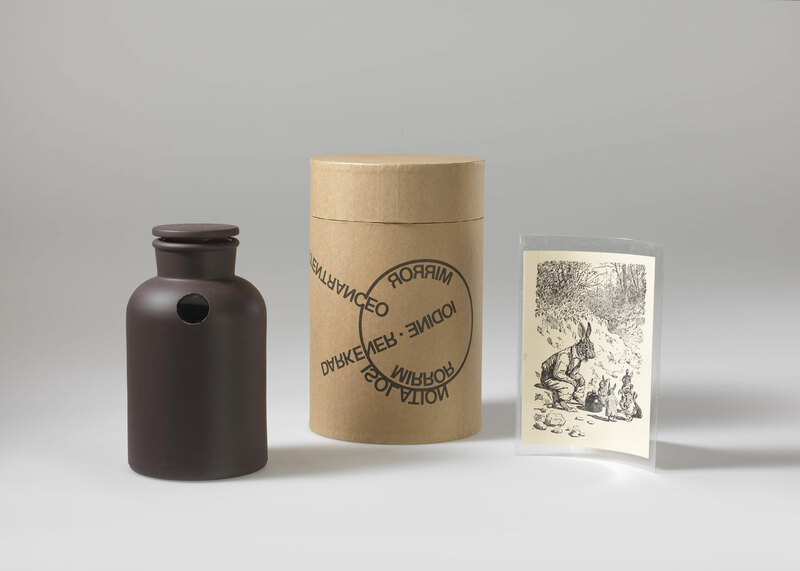 The flask is housed in a cylindrical cardboard box, on which a diagram is printed. Together with the iodine crystal and the substances that coat the flask, this diagram explains the flask’s significance as a metaphor, or mirror, of the human mind. The diagram is centred on a large circle representing the flask itself, within and around which a number of words have been arranged. Inside the circle, the word ‘mirror’ appears, while the word ‘isolation’ tightly hugs a section of its circumference. Together these inscriptions emphasise the flask’s condition as a mirrored vessel, isolated from the outside world. 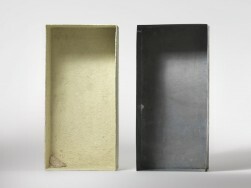 Two further inscriptions provide some indication of its function for the artist. The first is the phrase ‘LightentraceO’ (light-entrance-O), which cuts through the surface of the flask from its exterior. The second comprises the words ‘Iodine. Darkener,’ which enter the flask from an opposing direction. While the former inscription describes the light-admitting aperture (or ‘O’) on the flask’s exterior, the latter alludes to the fact that when exposed to light, iodine turns black.2 It was due to this photosensitivity that silver iodine was used in early photographic processes. The three materials that coat the flask suggest that they effect a positive influence on incoming stimuli. 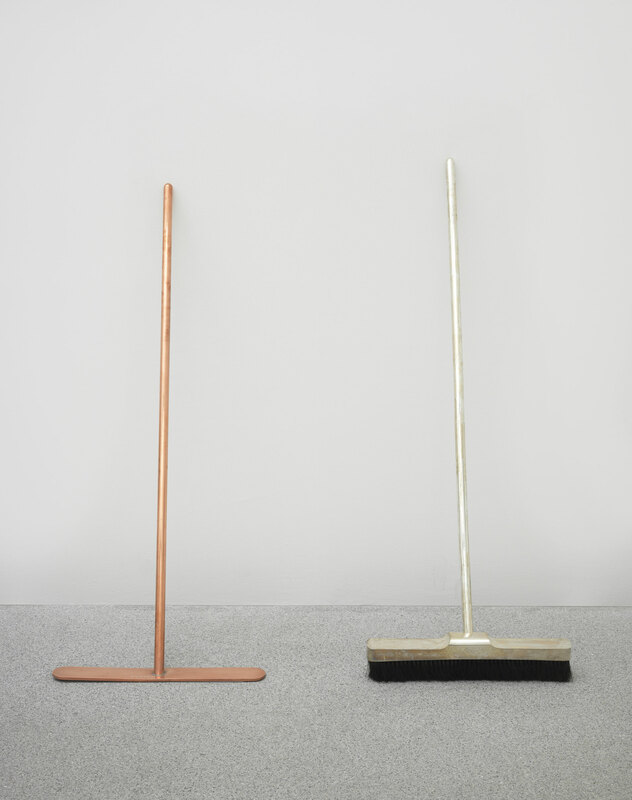 Beuys valued silver for its purifying capabilities, copper for its capacity to transmit spiritual warmth, and brown paint—of a kind that he referred to as Brown Cross—as a metaphoric healing substance. His flask can thus be seen to cleanse the stimuli it receives from the outside world, an activity in keeping with its apothecary function. 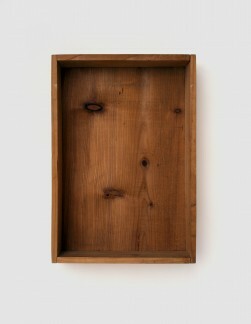 As a mirror of the mind, therefore, Mirror Piece stands as a model for the kind of positive and progressive form of consciousness that Beuys hoped to foster with his art.